Picture the scene..... A night in late July. It's one a.m. and you are alone by a favourite fishing pool. The river has gone quiet. You would be inclined to doubt that there were any sea trout in the river if it weren't for the brace of two pounders in the bass at your side. You tip them out on to the grass for another look. They shine silver in the moonlight, fresh from the tide. They were taken well before midnight on a size 8 Butcher, fished on a floating line. Since then, nothing. Time for a change, for something bigger, to be fished deeper, perhaps on a slow sinking line. Something long and slim and not too heavy. 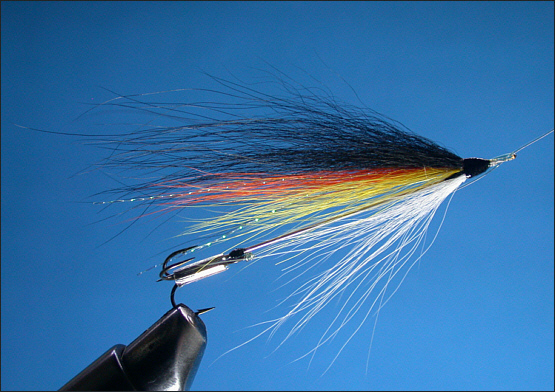 A look in your fly boxes reveals a variety of fishing lures, tied over the years for just this purpose. A box of tube flies in all shapes, sizes and materials; a selection of Waddingtons; rows of beautiful tandem lures, sparsely dressed in the Falkus style; a few Marchogs with their long trailing trebles. Each, in its own way, ingenious. 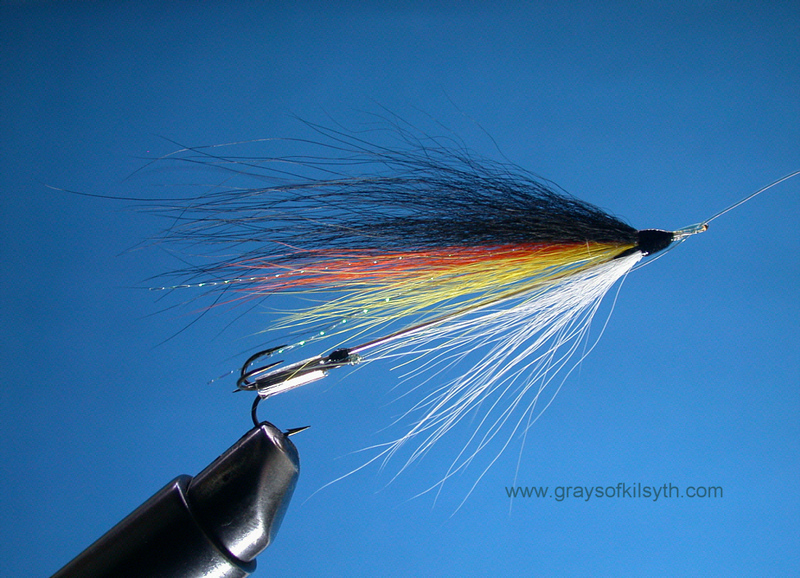 Each undoubtedly effective as a sea trout fishing lure. Yet none of them quite perfect. 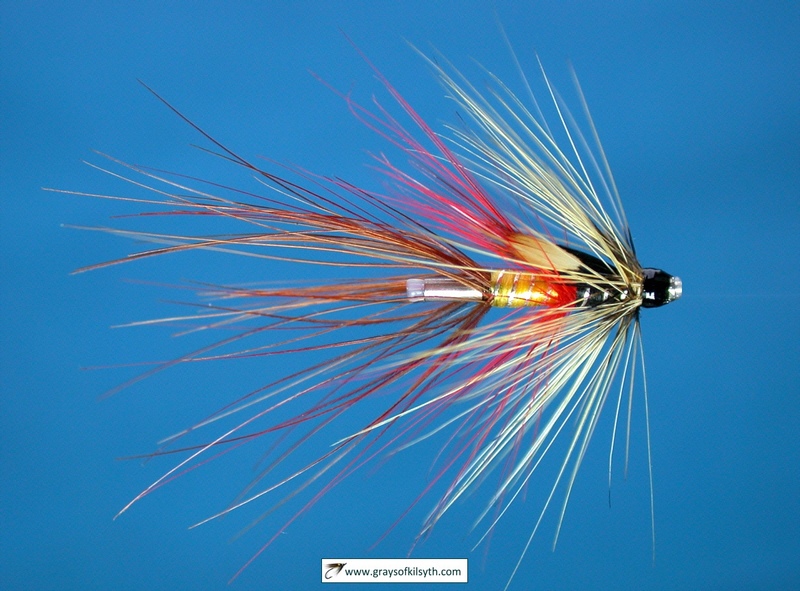 The Tube fly, though simple in design, is not the easiest thing to fit in a fly tying vice. It also has a relatively bulky body, particularly the commercially available plastic versions, while thinner plastic tubing has a tendency to bend if used in longer lengths. Metal tubes, e.g. aluminium, though thinner than the plastic, can cut into the nylon leader if the internal plastic core is damaged. In addition, I have always felt that the attachment of the treble hook by means of a length of fairly thick plastic tubing is too bulky to be entirely satisfactory. 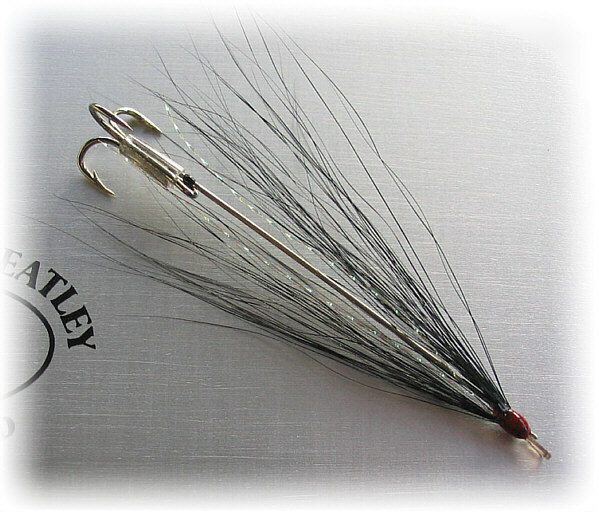 The Waddington lure can be tied on various gauges and lengths of wire but the attachment of the treble hook can be problematical. The fly may have to be discarded, or, at the very least, partially retied if the treble is damaged. Sunk lures have the advantage of being very slim and well balanced. However, whether tied using singles, doubles, trebles or a combination, all involve considerable time and care in their construction and, when damaged, will likely have to be discarded. It should be simple to construct, in a variety of sizes and weights, using inexpensive and readily available materials. It should be easy to attach to the line or to change at night. The hook should be easily replaced if damaged, without the loss of the lure itself. 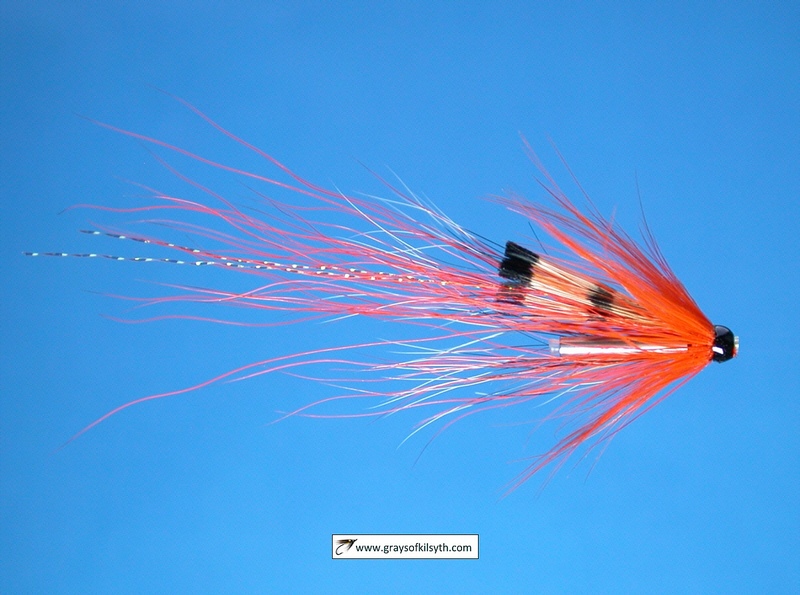 It should be generally light in weight, even in large sizes, so that it can be easily cast and fished effectively on both floating and sunk fly lines. It should have a slim profile to give the impression of a small fish. The lure should always swim in line with the leader. 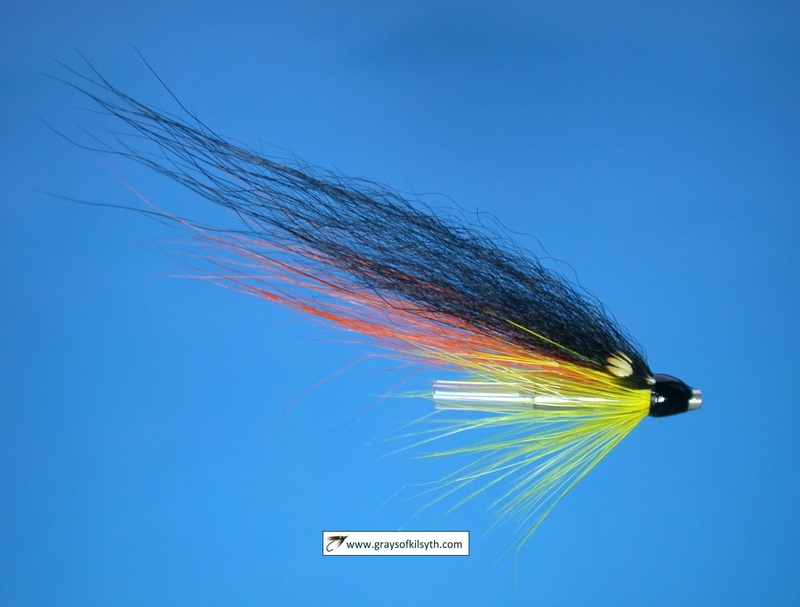 As the name suggests, the Needle Fly is simply a fly or, more accurately, a lure, tied on a standard needle, in the same way as a tube fly is tied on a tube. 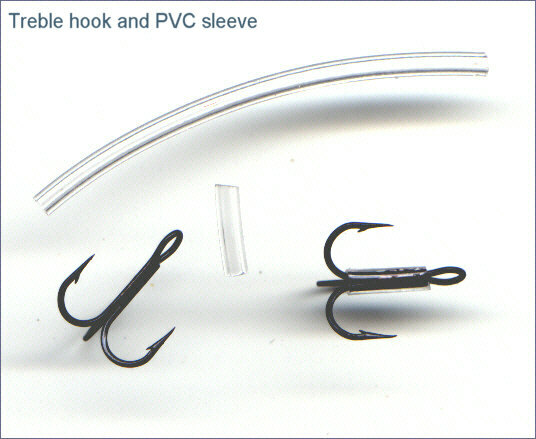 The second, and equally important, component is a treble hook whose shank is covered by a tightly fitting rubber or plastic sleeve which secures the point of the needle during fishing. 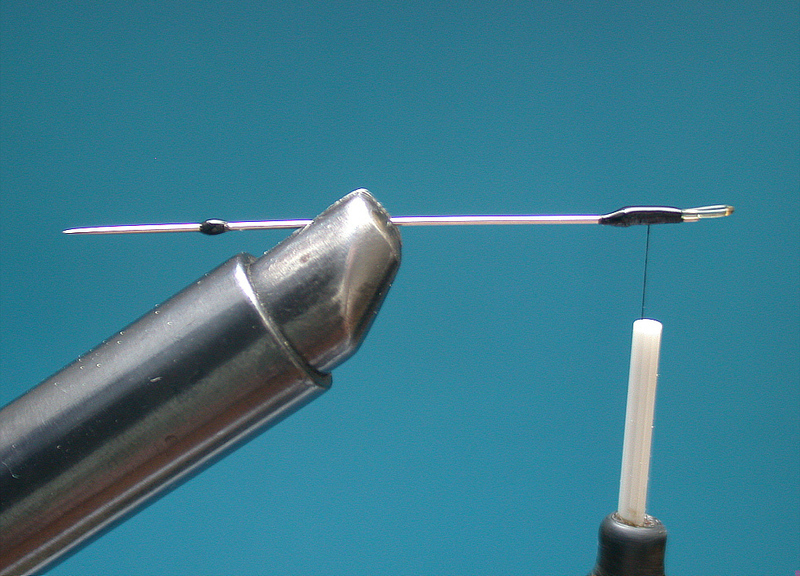 As with a tube fly, the leader is tied directly to the treble hook and not to the "eye" of the fly, which, in the case of the Needle Fly, is formed by a small loop of strong nylon (e.g. 30 to 35 lbs monofilament). For use with needles between one and two inches in length, treble hooks ranging from size 16 to 10 are most suitable, although doubles can also be used. 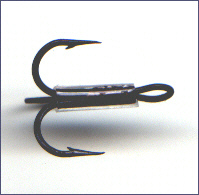 To adapt the treble hook, a sleeve of plastic or rubber is fitted over the shank of the hook. This sleeve will secure the point of the needle while fishing. It is important, therefore, that the sleeve is chosen carefully to match the diameter of the hook shank. This sleeve must be strong and tight fitting, with enough elasticity to grip the needle firmly. If the sleeve fits loosely or is too soft, the needle may slip out of the sleeve while casting. 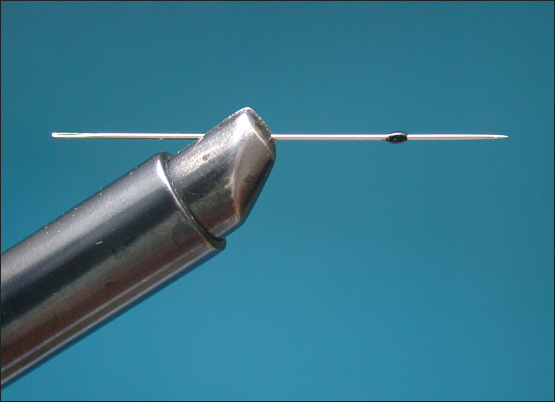 Since my first experiments with the needle fly in 1998, I have tried all the kinds of tubing I could lay my hands on. Early versions made use of the plastic sleeving from electric cable. I then experimented with heat shrink sleeves, neoprene sleeves, carp rig tubing, silicone rubber and even combinations of the above. None were entirely satisfactory. The electric cable sleeving, like most examples of the carp rig tubing, was a bit hard and inflexible. The heat shrink was also a bit hard and not very durable, even when used in double layers. Silicone rubber, as used on floats, was too soft and, although it is possible to buy silicone tubing with a thicker wall, it does not grip the needle well. Neoprene tubing was a bit bulky and available in limited sizes. The most suitable type of tubing I have been able to find to date is clear PVC tubing, as used for laboratory and medical applications. It is always worth experimenting with other types. a) a loop of strong nylon (about 30 - 35 lbs b.s.) 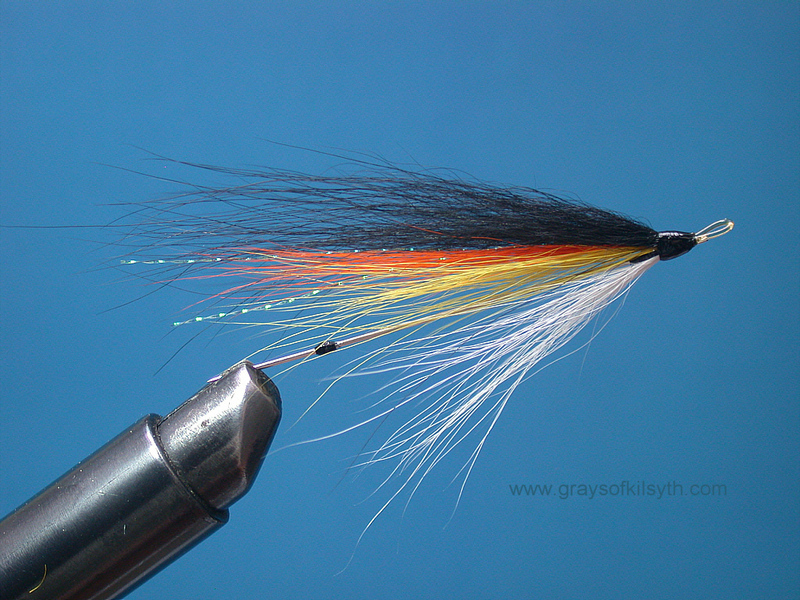 which forms the "eye" of the needle fly. (Note that, as with a tube fly, the line is not tied to this loop but to the treble hook itself). 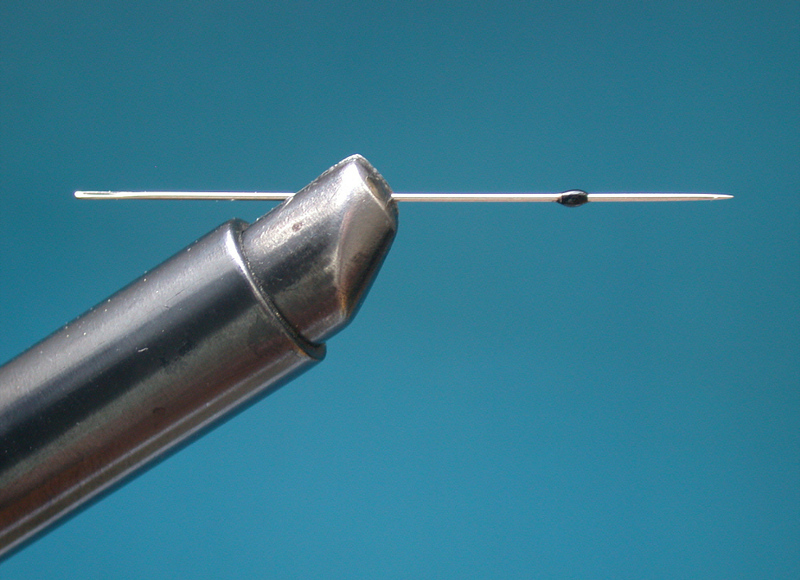 b) a small stop of tying thread (varnished) applied 1cm from the point of the needle. This stop prevents the needle from slipping through the sleeve while casting.